To deliver best-in-class applications for users that demand instant gratification, application developers are moving from post-event data processing to taking in-event decisioning on streaming data. Traditional message bus technologies compromise on data accuracy and integrity in favor of speed and scale. Their inherent data pipeline architecture limits them from offering low latency, intelligent decision making capabilities that are available when using in-memory databases like VoltDB. 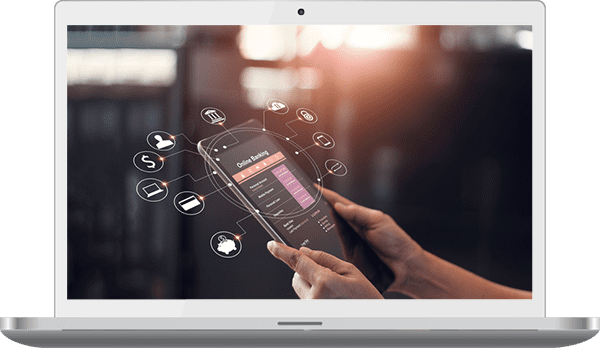 VoltDB’s smart stream processing processes streaming data sequentially and incrementally on a record-by-record basis or over sliding time windows, and utilizes it for a wide variety of analytics tasks giving organizations visibility into customer activity and business. This revolutionary stream processing architecture combines streams and contextual state with dynamic Machine Learning (ML) rules to enable accurate on-time business decisions. Ingestion is the first stage in the Smart stream processing architecture. Smart ingestion seamlessly interfaces VoltDB to streaming data sources. VoltDB then transforms and normalizes the incoming data, enriching it for Smart processing. 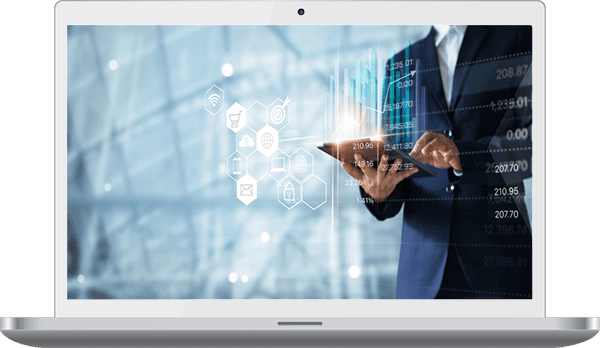 Ingestion marks the first point at which data can be transacted against, applying key functions and processes to produce value from the data – value that includes insight, intelligence, and action. 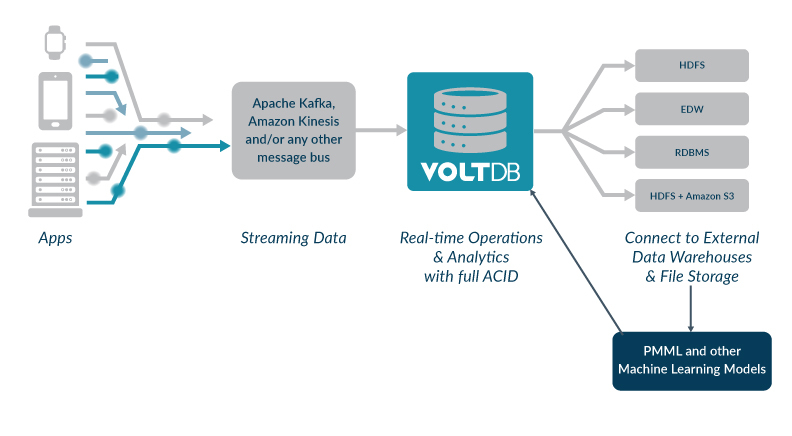 VoltDB’s blazing fast in-memory database engine enables it to keep pace with the velocity of incoming streaming data, processing it instantly, rather than in batches as most other stream processing tools do. 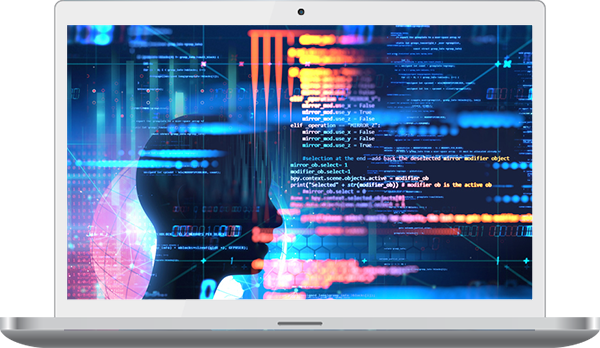 In-database Machine Learning applies complex logic to fast streaming data in milliseconds, just in time to complete the real-time actionable decisioning feedback loop that is essential to drive desirable business outcomes in modern web scale applications. Once the streaming data is processed intelligent and the resulting decision is implemented, the data moves through the pipeline for later processing; data ingestion and export flow at the same rate. Usually streaming analysis relies on an ingestion queue. Similar queues are used for the export stage. VoltDB automatically transforms and distributes the data downstream to either a data lake or a data warehouse of your choice.